Actual organic certification costs and fees vary widely depending on many factors. From the size and scope of your organic operation to the organic certifying agent you choose to the state you live in, many issues can affect your costs. 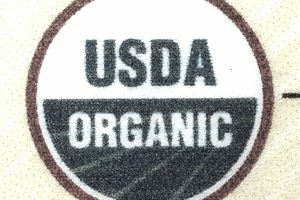 The U.S. Department of Agriculture (USDA) National Organic Program (NOP) notes that organic certification may cost anywhere from "a few hundred to several thousand dollars." However, you should be aware that "a few hundred" is an extremely low estimate for certification. In many cases, it will cost around $1,200 for an organic processor to get certified, and around $700 (or more) for a new organic farm to get certified. Private certifying organizations, known as certifying agents, are approved by the USDA program to conduct the actual certifying work. The USDA maintains a list of these agents (there were around 80 at last count) so that organic producers can choose from them. There's no requirement to work with an agent who's nearby—any farm, ranch or food processor can decide to work with any agent on the USDA list. Each organic certifying agent sets its own certifying rates, and those rates will vary based on the size of your operation and on how many different parts of it will need to be certified. For example, a larger, multi-crop organic farm with an organic dairy will cost more to certify than a small organic vegetable farm. There can be many other costs beyond your actual organic application. For example, during the certification process, you may have to pay for inspections, assessments, and travel costs for your agent. In addition, there are ongoing annual renewal fees for as long as you hold your certification. It almost goes without saying, but due to the vast differences in certification costs, you really need to do your research before you settle down with one certifying agent. Make sure you get a written estimate of the certifier’s fee structure and an explanation of how the company's individual billing cycle works, so you can figure out if the costs are something you're comfortable with. Obviously, organic certification through the NOP can be costly. Luckily, once you're officially certified, you may be able to access one of the USDA's programs that shares in the cost of certification. The National Organic Certification Cost-Share Program, or NOCCSP, is available in all 50 states, the District of Columbia, and U.S. territories. This USDA program may reimburse up to 75% of your final certification costs, not to exceed $750. Meanwhile, the Agricultural Management Assistance program (AMA) is available to organic crop and livestock producers in 16 states. It's possible to receive some funding for your organic certification from both the NOCCSP and the AMA programs. The USDA has estimated that certified organic farms may net considerably more in revenue than non-organic farms of similar size. However, maintaining organic certification can be a headache, not to mention costly. Some farms—especially farms with a loyal customer base that wouldn't balk at a lack of certification—may decide it's just not worth the trouble to get and stay certified.